American Torch Tip Company, an American manufacturer of welding and cutting torches, consumables, parts and accessories, has announced that the United States Patent and Trademark Office has issued a patent for their CleanCut Nozzle Technology. 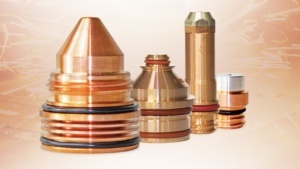 ATTC’s CleanCut Nozzles feature a smooth-bore configuration that reduces turbulence, pressurizes and accelerates cutting gases to produce ultra-smooth cuts. American Torch Tip originally announced the launch of its CleanCut Nozzle and Electrode combination in mid-2017. Combined with the CleanCut Electrode, American Torch Tip has found a minimum of a 30% increase in consumable life in one-to-one testing versus competitive products.